Spectacam Records The Action In Front, And In The Back | OhGizmo! By David Ponce on 11/19/12 • Leave a comment! It’s never a bad idea to have a camera running when you are moving, whether it’s a dashcam in a car, or a helmet-mounted camera when you’re cycling. Not only is it fun to watch what you’ve done, but if there’s ever an accident, that’s some potentially important footage. Except of course it’s always footage of stuff in front of you. 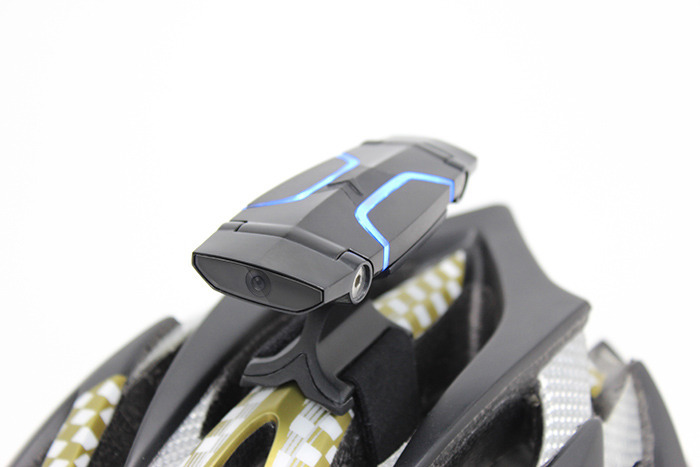 The Spectacam cycling cam seeks to change that by featuring two 1080p cameras mounted 180 degrees from each other. 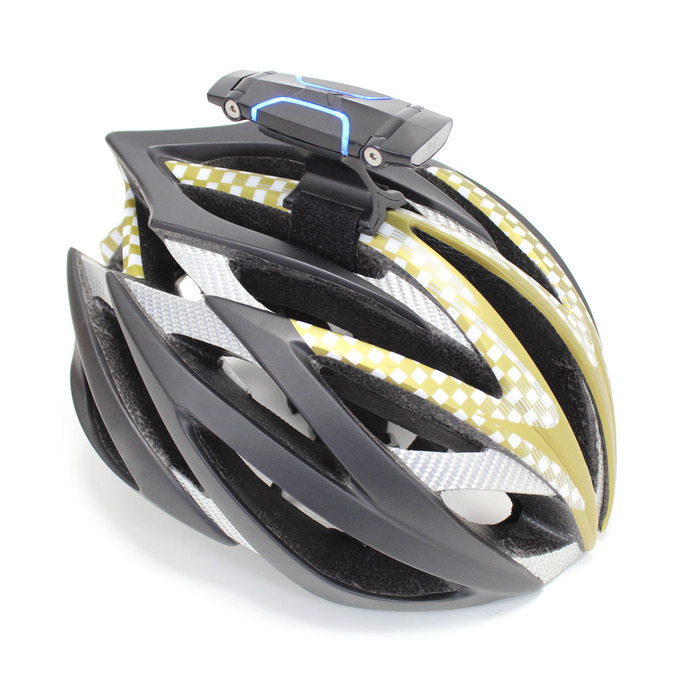 The small device is streamlined and mounts to the top of a helmet with velcro, then connects to a smartphone through WiFi. An included handlebar mount allows you to secure your phone in front of you and control what’s happening at the touch of a button. Being able to immediately see out of the cameras lets you adjust the shooting angle at each end of the Spectacam, to make sure you’re recording exactly what you want. The footage is stored in an SD card, and not on your phone. Battery life is said to be around 3 hours. Currently a far-from-funded project on Kickstarter, a $200 pledge will get you in line for a May 2013 delivery. ← Ever Wanted To See A Tractor Do Donuts?